A lot of Gaelic Polytheists tend to wait until the fruits are ready for harvesting as a signal that it is time to celebrate Lùnastal. If you are able to grow your own vegetables then now is a good time to aim for them to be ready for harvesting – something to bear in mind when you start growing. In the run-up to Lùnastal, clean and tidy the house so everything is in order. Return any items borrowed and make sure you have food in your cupboards. You’ll need to plan out a few things in advance – a feast (or a special meal) is traditional so you’ll want to decide what you’re having and make sure you have everything beforehand. You’ll also want to decide what kind of offerings you’re going to give; if you’re making a bonnach Lùnastain (or several) then you’ll need to make it/them ready for the evening. You’ll also want to make sure you have any candles and other necessary items at the ready. Try finding some wild fruits to pick, or ones grown in your garden – bilberries/blueberries are most traditional but gooseberries, strawberries, wild raspberries, and all types of currants can also be picked (often served freshly mashed with fresh cream and sweetened with sugar). 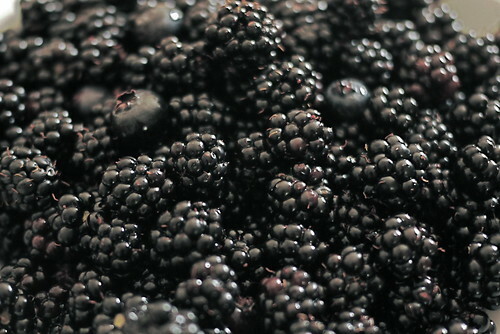 Sometimes it’s a little too early in the season for blackberries in Ireland, Scotland, and Man (depending on how good or bad the summer’s been), but these are good for picking, too. Now is the time to dig up some potatoes, if you’ve grown some of your own, and whatever else is ready. Don’t forget to leave aside some for offerings. Try making butter and crowdie cheese. Make the bonnach Lunastain – the traditional oatcake type works well, and these can be eaten with freshly made crowdie cheese spread generously over them. Alternatively you could crumble the oatcakes and mix in with plenty of melted butter to make Butter Brughtins to serve at the feast. Prepare a feast of traditional seasonal foods, with the emphasis being on potatoes or (as is felt to have been the original dish before potatoes came to be the staple food) bread or porridge made from the freshly harvested crop. Cabbage, onions, fish, chicken, beef, lamb and bacon are all appropriate to serve, too, so mashed potatoes or colcannon are a good dish to make, nice and buttery with plenty of garlic, along with a roast. Try making some Fraughan cakes with the bilberries you have picked (or bought, if necessary). Offerings should be set aside for the beloved dead. Light a bonfire for the feast, if possible, or else light a candle on your central hearth/shrine. Make your opening offerings and prayers. It is especially approptiate to address Lugh and Tailltiu, and/or perhaps Macha. Dance, sing and be merry, with lots of music. Fortunes can be told at this time too, friendly competitions – like races – can be held. Sain the house and the boundaries of your properties, and those within it. Also on the eve, if you prefer to make rowan crosses for warding each quarter (rather than annually, every Bealltainn), make and then hang the crosses at the thresholds and move any old ones to different places – to rooms that are not yet warded, or up into the roof-space, the car, the garage etc.